Los Angeles is the second largest city in the United States with an estimated population of four million. When we lived in Los Angeles, I avoided the freeways before ten in the morning and after two in the afternoon. The beach cities are amazing. Hermosa Beach is one of my favorite places. There is a pier with lots of restaurants to choose from. When you walk out to the end of the pier, it is amazing to look back and see how many houses there are all packed together. 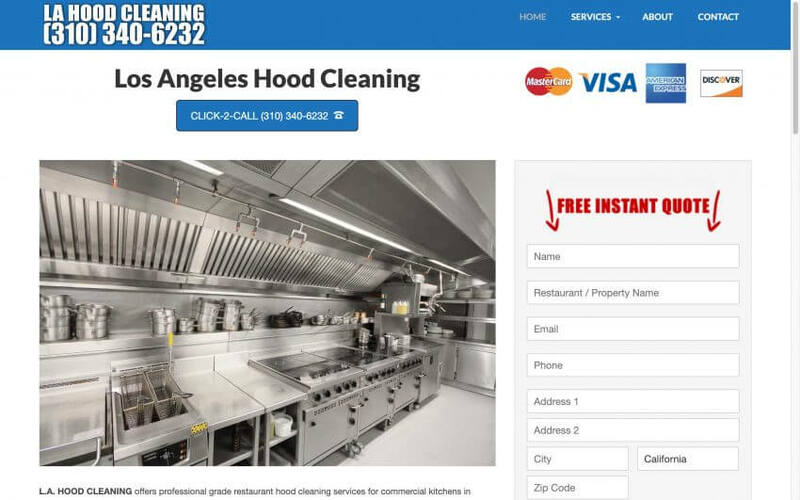 The hood cleaning business is very competitive but there are thousands of restaurants.